When you order Asian Checks online, you enjoy the feelings you get when you see the spiritual side of life. There is something very calming about the Japanese art symbols and the Zen of nature. Ninja Warriors protect the innocents and Japanese Gardens are world renowned for their simplicity, precision and style. Enjoy your walk down peaceful Asian scenes. Share your love of the Asian Culture each and every time you write out a personal check. Matching Checkbook Covers and Address Labels add to your serenity. Our collection of Asian Personal Checks include Cherry Blossoms with their distinct and peaceful drawings as well as our Yin and Yang represent seemingly opposite or contrary forces merging into a complimentary state in the natural world. Chinese fortune cookies remind us our future holds happiness and good luck. Zen candles inspire thought and peacefulness as well. 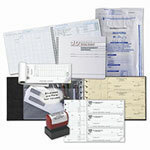 Many of our personal checks come in the popular side tear checks or the popular top stub checks formats. As always, we give you rock bottom prices for our cheap checks. All you need is your checking account number and your routing number and you are set to buy your checks. Thank you for shopping at Value Checks where you can order cheap checks online and get a great bargain!